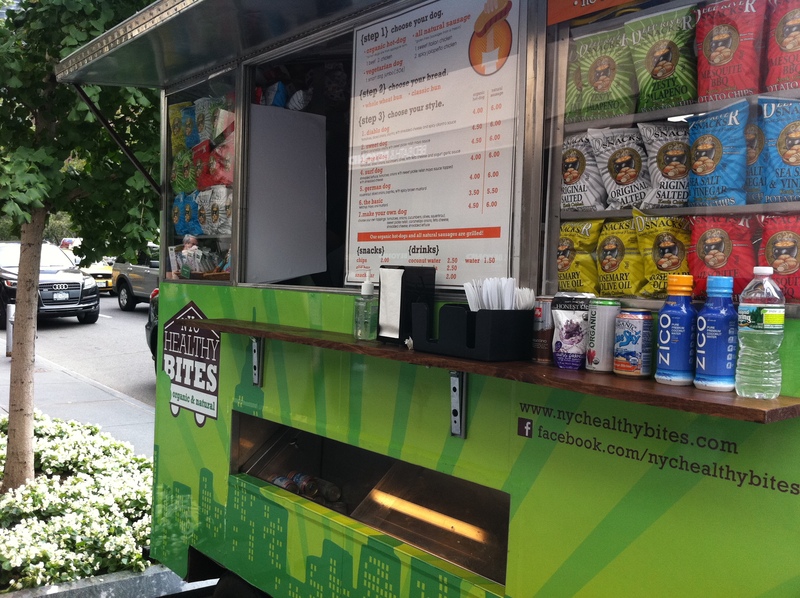 A new healthy food cart hit the upper west side last weekend, setting up shop in front of the Lululemon store on Broadway between 64th and 65th, right across from Lincoln Center. 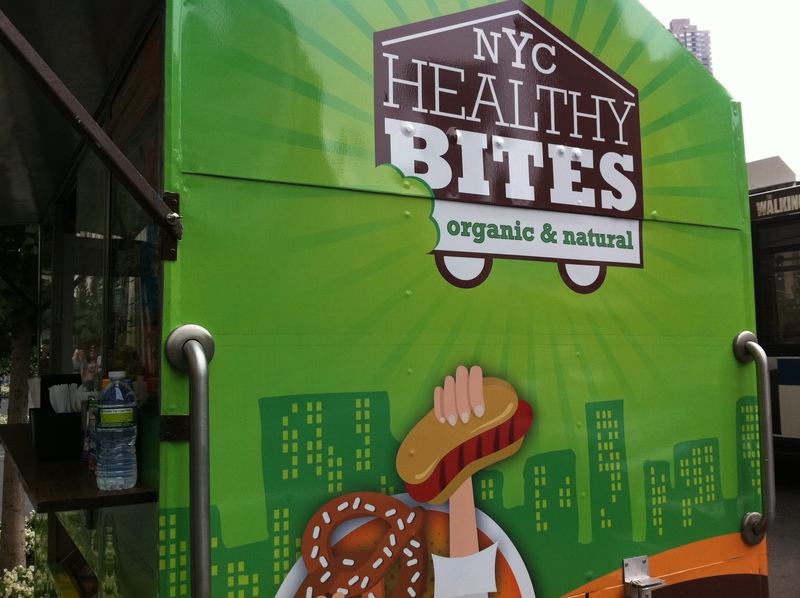 It’s called NYC Healthy Bites. 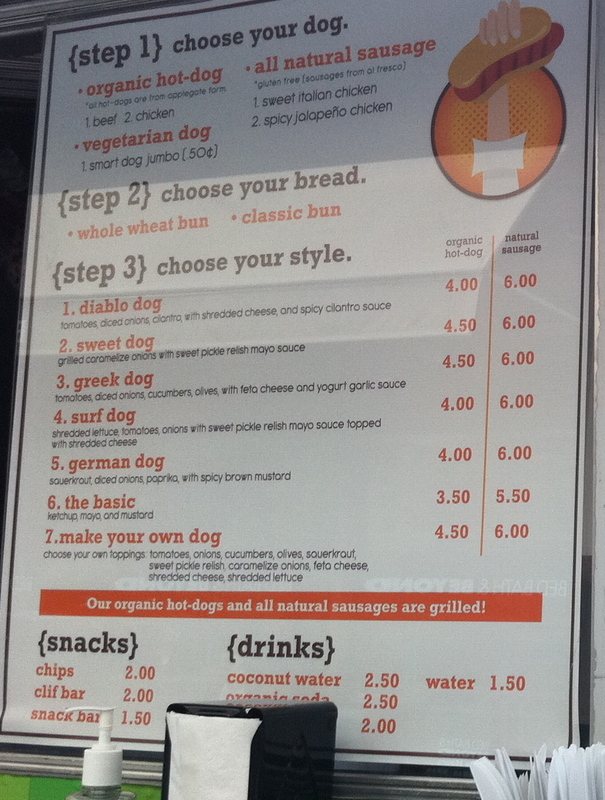 And since it’s new, the owners were still working out the permanent location and awaiting one of the key food items — all natural, handmade pretzels. 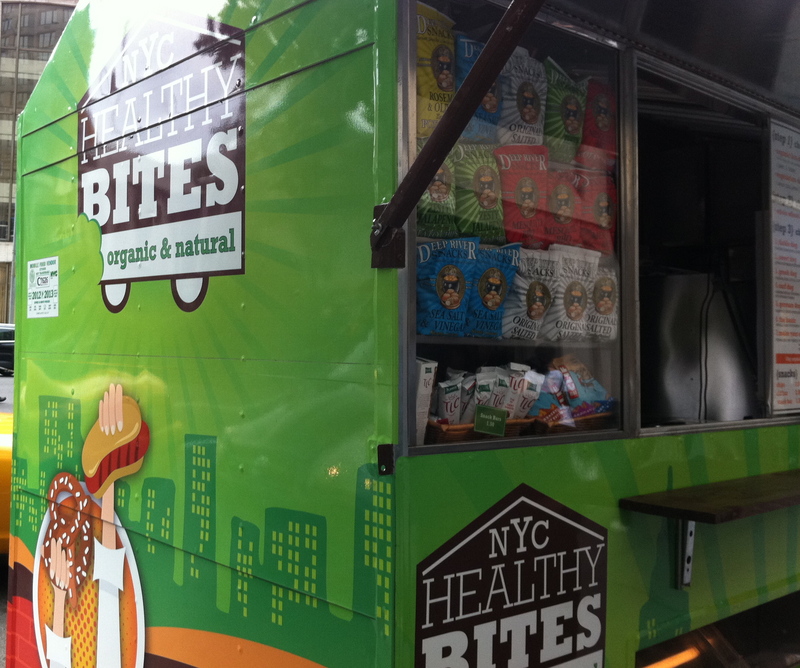 The Healthy Bites slogan is “The Tasty Cart That Takes Your Health to Heart”. Check out the Facebook page for the latest information. We love this article and photos. We hope to find a good spot in that area, because people in that area are so pleased that we’re there. But the Lincoln Center keeps making us move. Thank you for your support.